Parcel dimensioners are essential for optimizing revenue. After all, any time an invoice is drafted, dimensions, weight and ID are included and must be correct at all times to ensure proper processing. Our CARGOSCAN™ dimensioning solutions offer high performance and durability, and all dimensioners are Weights and Measures approved—guaranteeing maximum revenue protection and data quality. 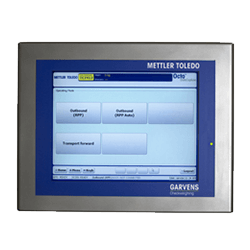 METTLER TOLEDO’s experienced technicians provide easy installation and maintenance, ensuring your system is up and running in no time. No external moving parts minimized wear and tear as well. If you’re looking for a higher output, METTLER TOLEDO offers models that have throughputs of up to 30,000 objects per hour. Our parcel dimensioners handle everything from singulated to multiple touching package flow, all shapes and sizes and both high and low speeds. Static parcel dimensioners also are easy to use and provide more options for industrial environments. These systems are easy to install and connect to label printers and scanning devices. They are perfect for integrating into existing IT infrastructure, which makes the move to automatic measuring simple and seamless. How can I measure a box? 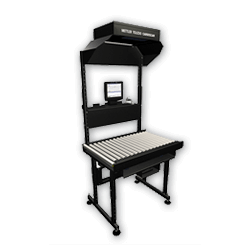 Through a scanning process, parcel dimensioners quickly and accurately capture the dimensions of a parcel piece. There are several models from which to choose to help best fit your needs, including a pallet dimensioner that has a throughput of nearly 200 pallets per hour. These parcel dimensioners improve the handling process by taking quick measurements and automatically transferring the data so there is no slow-down in operation. Parcel dimensioners also measure any shape and surface. Three dimensioning heads see the item from all angles, ensuring that every detail is captured, while a wide reflective range can measure any surface. 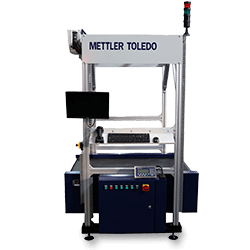 If you’re looking for a higher output, METTLER TOLEDO offers models that have throughputs of up to 30,000 objects per hour. These dynamic parcel dimensioners offer large optics and a powerful, embedded processor, providing the greatest read rates and highest precision in their class for maximum revenue recovery. Software and Data management solutions from METTLER TOLEDO for improving efficiency, profitability and customer service. The more parcels your dimensioner can measure, the more revenue it can recover and the more efficiently your operation will run. This white paper describes how some technology, combined with clever hardware design, achieves a higher read rate by extending the dimensioners dynamic range and therefore differentiates itself from any other dimensioning solution on the market today. As more and more shippers in the transport and logistics industry change their pricing structures to use dimensional-weight pricing, it is important to adjust to avoid future headaches. This white paper explains dimensional-weight pricing and changes companies can make to avoid problems in the future. In a world of short cut-off times and impatient customers, the transport and logistics industry faces increasing pressure to deliver as quickly as possible. Our transport and logistics competency brochure highlights the products and technology available for improving efficiency and profitability at every step of the logistics chain. 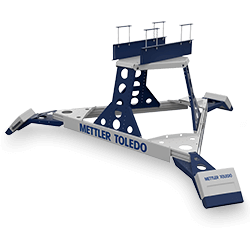 METTLER TOLEDO has more than 25 years of experience providing solutions to the transport and logistics industry and is a trusted consultant for optimizing parcel and pallet handling. Our Terminal Productivity Guide offers practical information on how to meet your goals and ensure customer satisfaction through improved terminal efficiency.